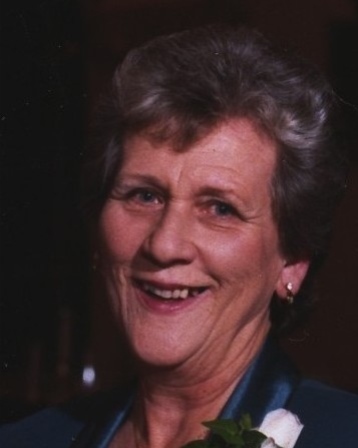 Marilyn ‘Aunt Mal’ Rusich Gasser, age 78, passed away on Monday, March 18, 2019. She was born in New Orleans, Louisiana on October 14, 1940, the daughter of the late Frank and Marie Rusich and wife of the late Gerald Edward Gasser Sr. She was also predeceased by her brothers Frank Rusich and Warren Rusich. Marilyn is survived by her four children: Gerald Gasser Jr.(Jill), Cheri Rolling (Greg), Adam Gasser (Kristi) and Mark Gasser (Ashley), and seven grandchildren: Zachary Gascon, Raquel Gascon, Alexander Gascon, Courtney Gasser, Peyton Gasser, Carly Gasser and Mason Gasser. She is also survived by her sisters Denise and Naomi and brother Albert. A devoted mother and grandmother, Marilyn loved to spend time with family and friends. She had a special bond with her brothers and sisters and they remained very close throughout her life having numerous family gatherings every year. Aunt Mal enjoyed bowling, crossword puzzles, reading books, crafts, playing cards, Mardi Gras parades and going to the casino. Relatives and friends are invited to attend a Memorial Service at 1:30 pm on Thursday, March 21, 2019 in the J. Garic Schoen Chapel of JACOB SCHOEN & SON, 3827 Canal Street, New Orleans, LA 70119. Visitation will be from 11:30 am until the time of the service. Condolences may be expressed online at www.schoenfh.com.